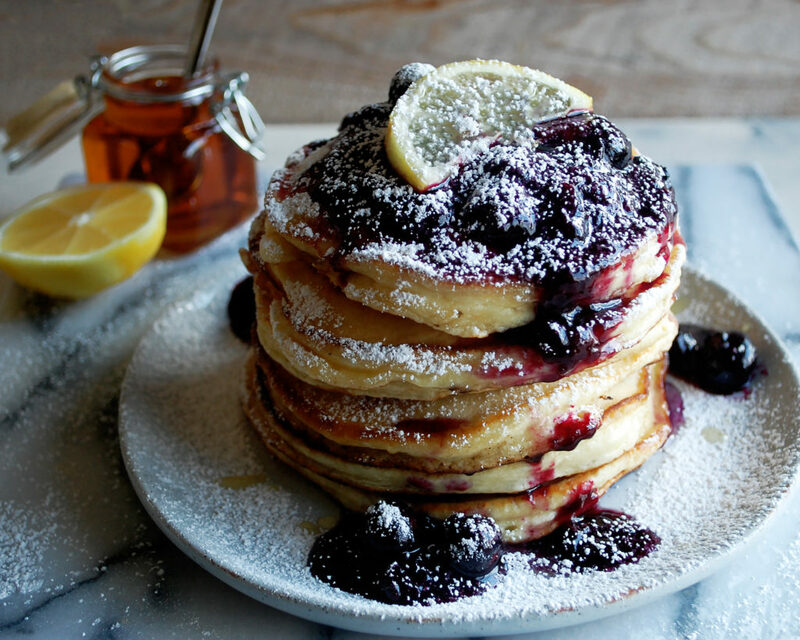 These pancakes are honestly so perfect. 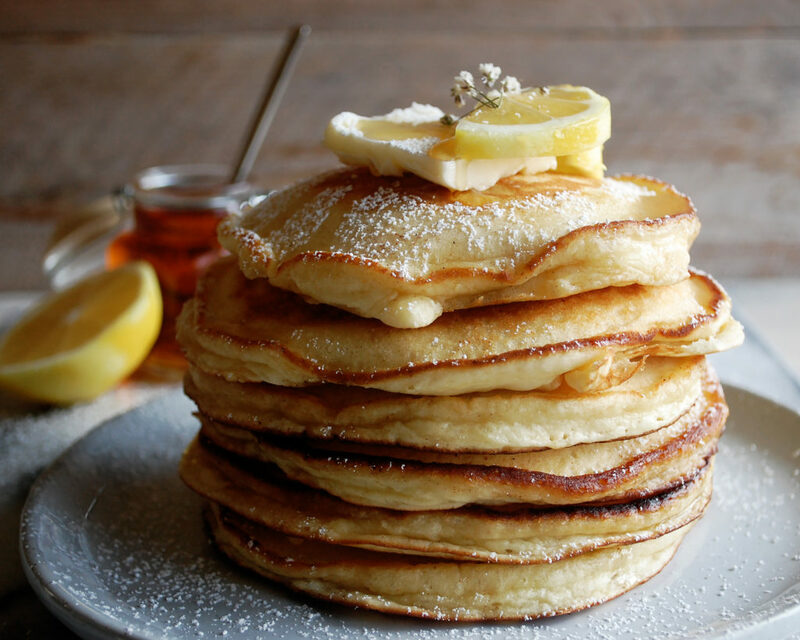 When I think of pancakes, such a cozy, comforting scene pops into my mind. Sunday morning, kind of overcast outside…definitely a day that all you want to do is stay indoors. The fire is lit (even if it’s spring, because let’s be honest I like to sit by the fire all year long), a candle is burning, it’s about 9am and after a warm cup of tea and a few pages of a good book, the only thing you could possibly think of doing is whipping up some pancakes. Just writing that scene makes me so excited for next Sunday! There’s honestly nothing better on a relaxing, lazy morning at home. 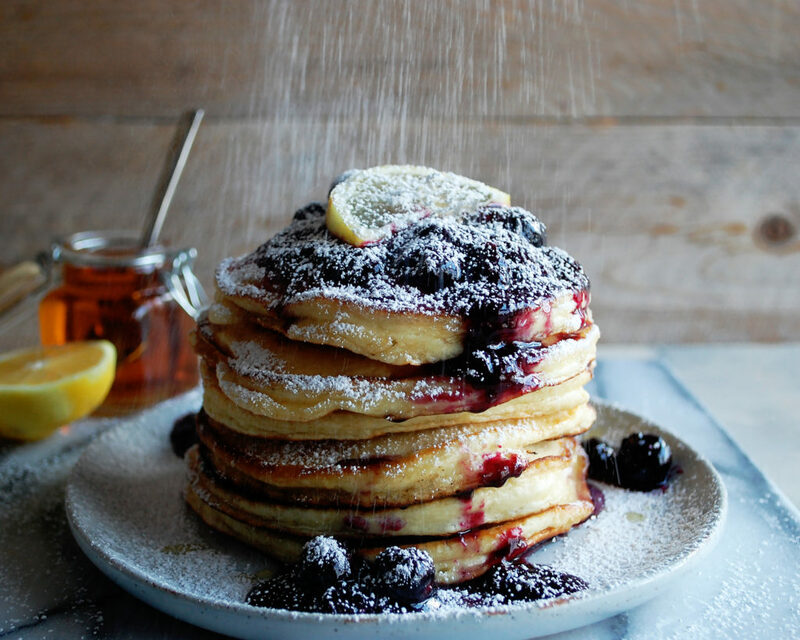 Pancakes aren’t difficult to make, but when you’re making them from scratch (which is always the way to go), it feels like a special, out of the ordinary, event. 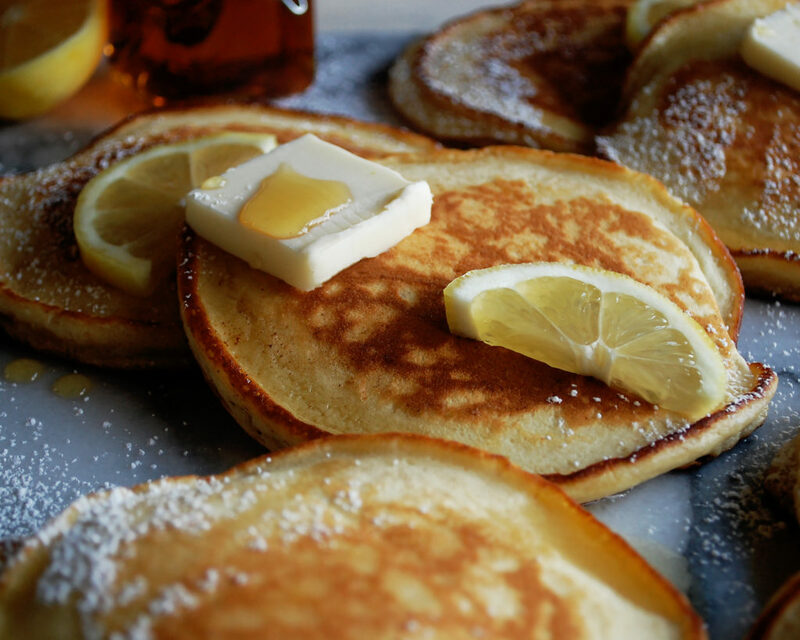 Ok so about the pancakes… I developed a pancake recipe a while ago for wintertime and was super happy with how the pancake itself turned out. It was fluffy, extremely buttery, and had a deep flavor. 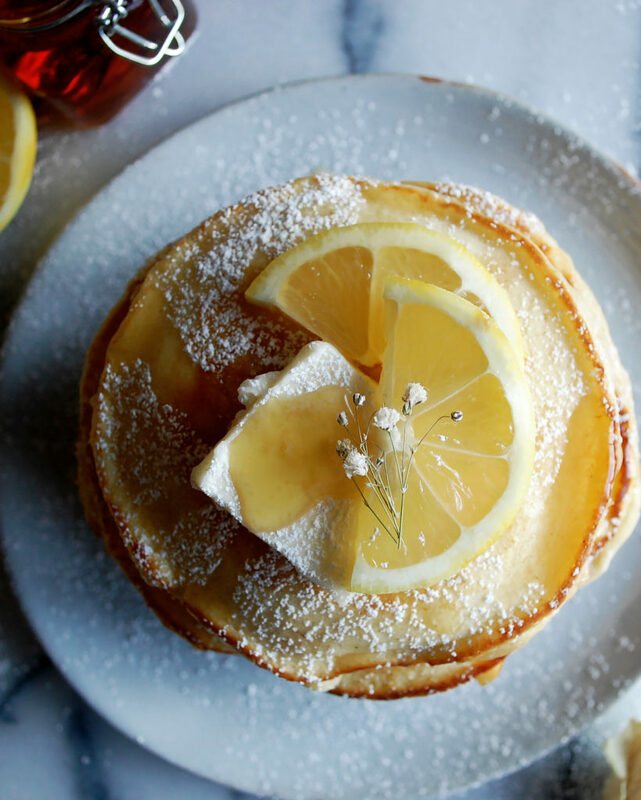 I decided to work off that recipe to create these lemon ricotta pancakes, which are bursting with bright citrus tanginess. I adjusted some numbers, took out and added some ingredients, and the result was so much better than I expected (especially since I was just winging it like I do when I cook, which is usually a big no for baking). The pancake stayed extremely moist, had a creamy texture from the ricotta cheese, and a subtle tang from the lemon. I use both the zest and juice, which is the only way to get the most flavor. After sitting down to a nice, big plate of these pancakes, I was torn with how I liked to eat them. 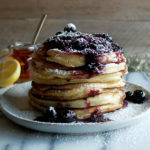 I had made a simple blueberry syrup for the top, which was delicious and the perfect combination with the lemon flavor. But I also tried them plain with lots of maple syrup. There was something about the simplicity of eating them like this… the lemon came through, the flavors weren’t overpowering, everything just balanced out so nicely. 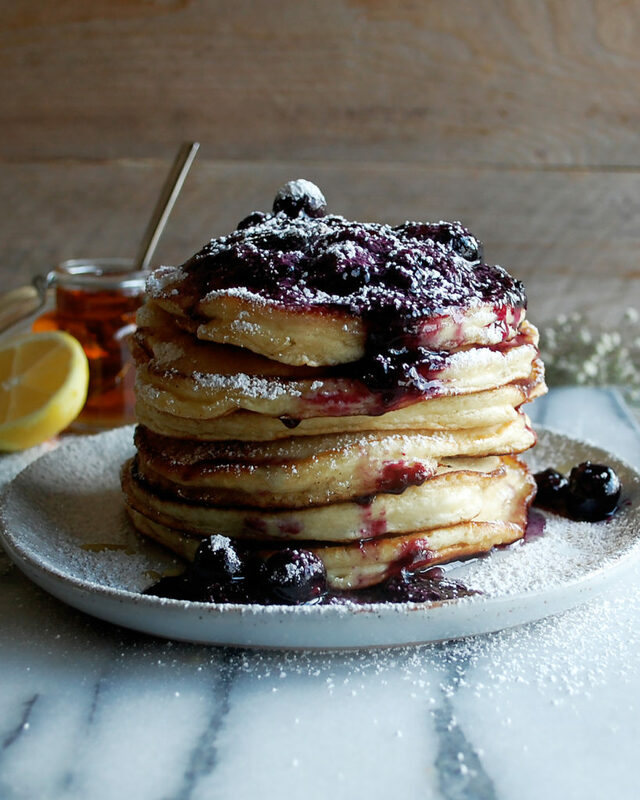 So, I’ve included the blueberry syrup which is so, so good if you have a taste for it, but also perfectly fine to leave this out and use a decadent drizzle of pure maple syrup. Enjoy! 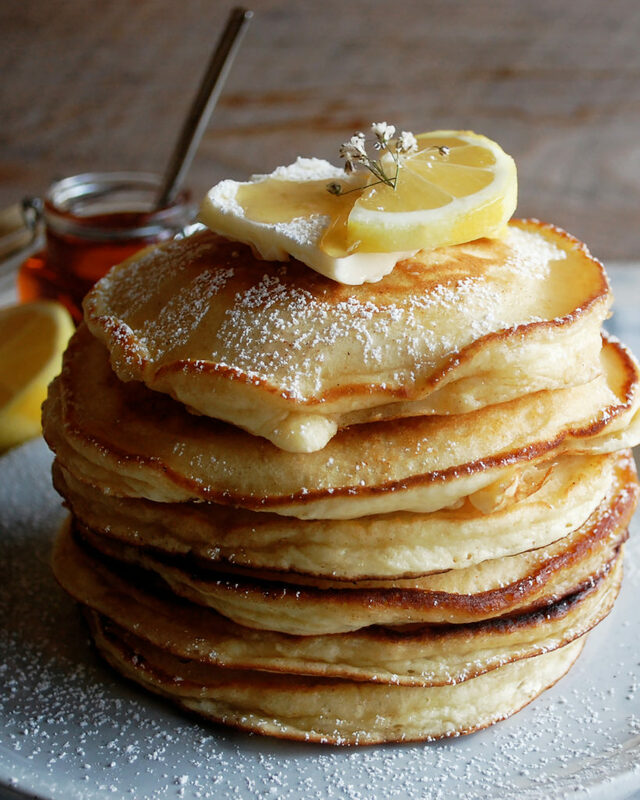 I can’t wait to try making these beautiful lemon ricotta pancakes! I have an abundance of Meyers right now that were grown just for this stack! Beautiful blog!! These look SO good! 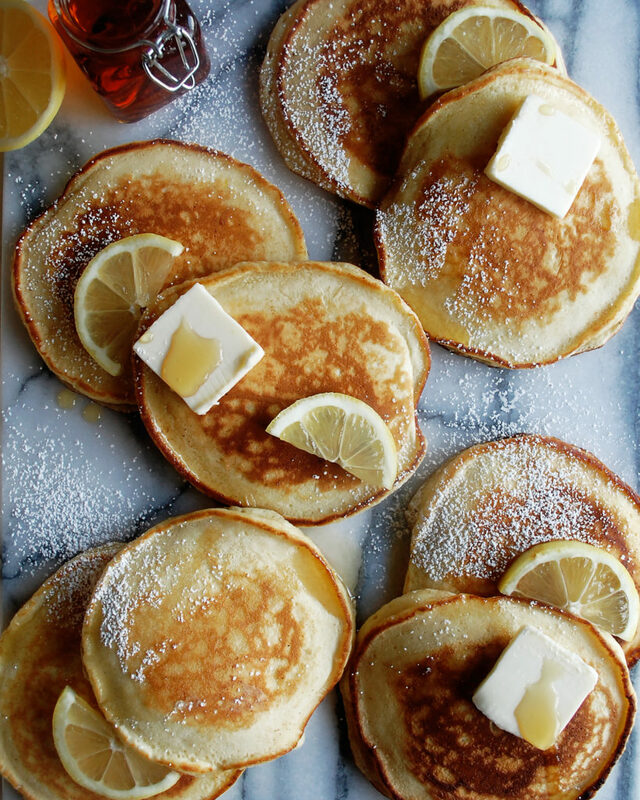 My mom made similar pancakes when I was growing up and these reminded me of hers. I’ll have to try your recipe, as no one seems to know where hers ended up. Yum! So, when do you had the lemon element? There’s no mention of lemon juice or zest in the recipe besides in the title! Hello! Could I substitute the sugar with anything else? I would love to make them for my daughter but she is too young for sugar! Hi Regina! I haven’t tested these with anything else, but you could probably try honey if she is able to have that. The sugar adds a lot to the texture too, though, so I am not positive on how they will turn out. Let me know how it goes! Which kind of pan did you use to make these? They are perfect looking! Did you use any oil? Hi Jill! I use a flat top griddle to make these over medium heat. Once the griddle is hot, I had a tablespoon or two of butter and work in batches to cook the pancakes, adding more butter as needed. I’m not using oil here. You can also use a large saute pan if you don’t have a griddle. I hope this helps! Thanks so much and enjoy!! I made these yesterday!! they were so good! Oh good I’m so glad to hear!! One of my favorites. Thanks for sharing!